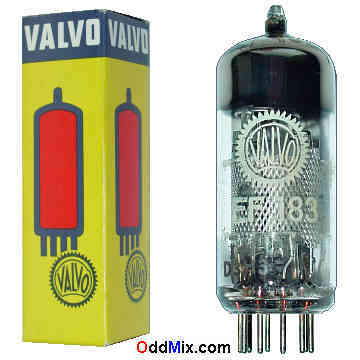 This is an original Valvo EF183 Semiremote-Cutoff Pentode RF, IF, AF electron tube. Subtitute: 6EH7. The EF183 is also a good hi-fi audio pentode. The tube is useable as RF, IF and AF service in TV [television] and, AM, SW, FM radio receivers and also as an audio pre-amplifier. An semiremote-cutoff pentode is useable for many other circuits, oscillators and amplifiers. Excellent for antique radio or television restoration projects, instruments or to set up a private vacuum tube museum. It is a NOS tube - New Old Stock, unused, excellent condition.